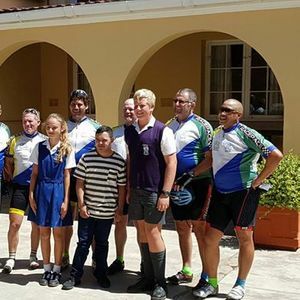 The Annual Cycle tour is one of DSAWC’s main fundraising events and a huge contributor to our yearly resources. This year the tour will start on the 25th of February 2019. 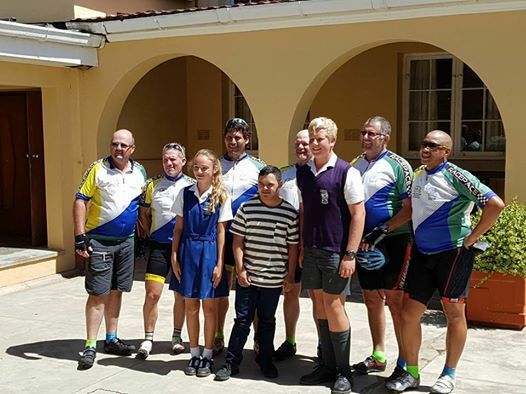 Members of the Mountain View Cycling Club consisting of staff from the Goodwood Correctional Services, will depart on a 473 km journey from Cape Town, via Mosselbay, to George. Their aim is to raise funds and create awareness for Down Syndrome Association Western Cape (DSAWC). This is the 19th year that they are touring in aid of DSAWC. They will be accompanied by 2 support vehicles and 3 members of DSAWC. One of the members is Jody Adams a young adult with Down syndrome. They will stop at various towns to create Down syndrome awareness and raise funds, by visiting schools, churches and the local business sector. We are hoping to break our previous records by raising R53 000. The Down Syndrome Association Western Cape is a parent driven initiative. Although the government does provide some financial aid, the organisation relies on the community, corporate donors and fundraising initiatives to provide and sustain services. You can contribute by making a financial contribution, donating food (coffee, snacks for energy and refreshments), or sponsoring fuel for the vehicles accompanying the cyclists. This will help us to limit the tour expenses and ensure that all the money collected can be used to support our cause of serving people with Down syndrome and their families in the Western Cape. Follow us on Facebook for daily updates when the tour starts.